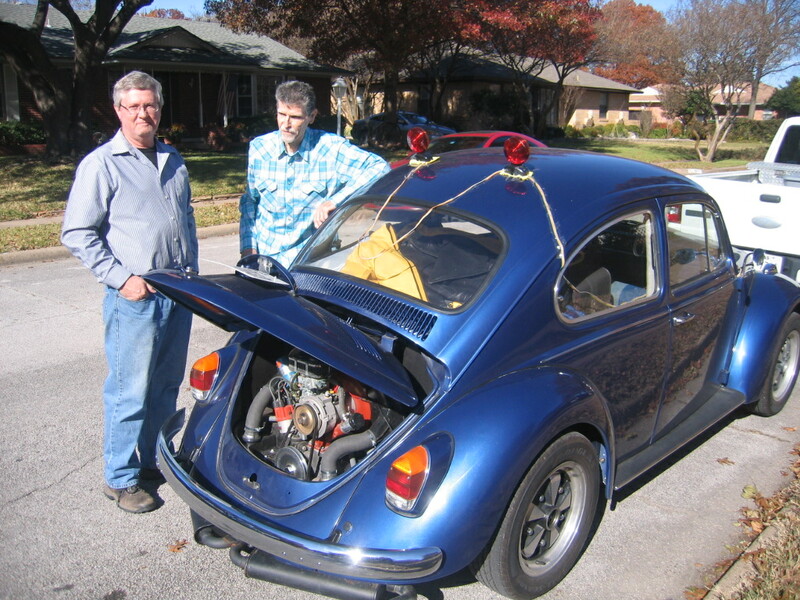 You will recall Jimmy Spinks from the recent article documenting his search for and restoration of his 1967 Beetle. Jimmy and I communicated, following the publication of his Story. He told me that he planned to be in the Dallas area toward the end of November and would like to visit. Neva and I were pleased to receive Jimmy’s message the 27th, saying that he would like to drop in the next day. And he did! Jimmy was towing his ’67 Beetle behind his truck as he headed to parts elsewhere visiting relatives along the way. Neva and I went out to look at the car and to listen to Jimmy’s story of towing the vehicle from South Texas to our area and of his planned trip, visiting along the way. 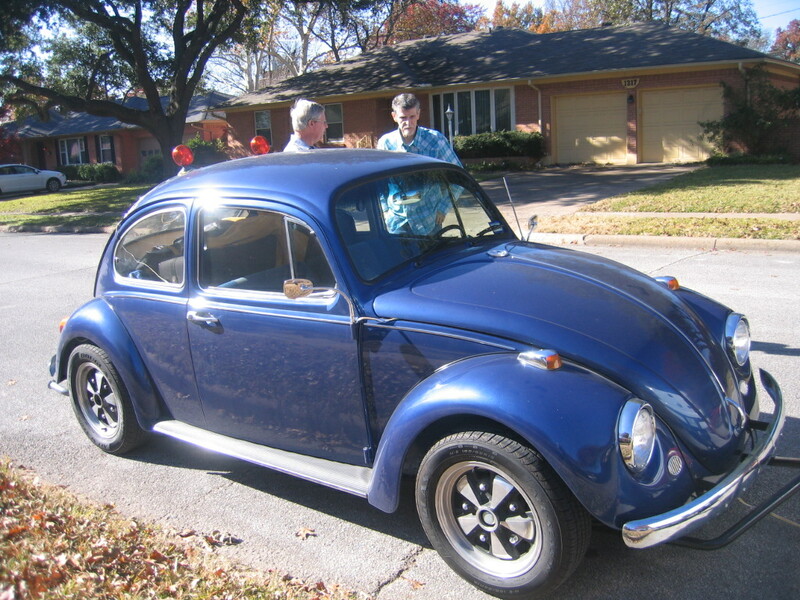 Jimmy told us that he had not driven a Beetle in 40 years—that he wanted me to go driving with him to point out anything which might require tweaking. But first, we visited. Jimmy’s life has been an interesting one, which has taken him around the Globe. “Stupendous” would be an appropriate word to describe his adventures during his long career! It was lunch time. The three of us headed off to get a sandwich. On the way, we stopped at the local VW Repair Shop to discuss Jimmy’s Beetle with the VW Specialist. 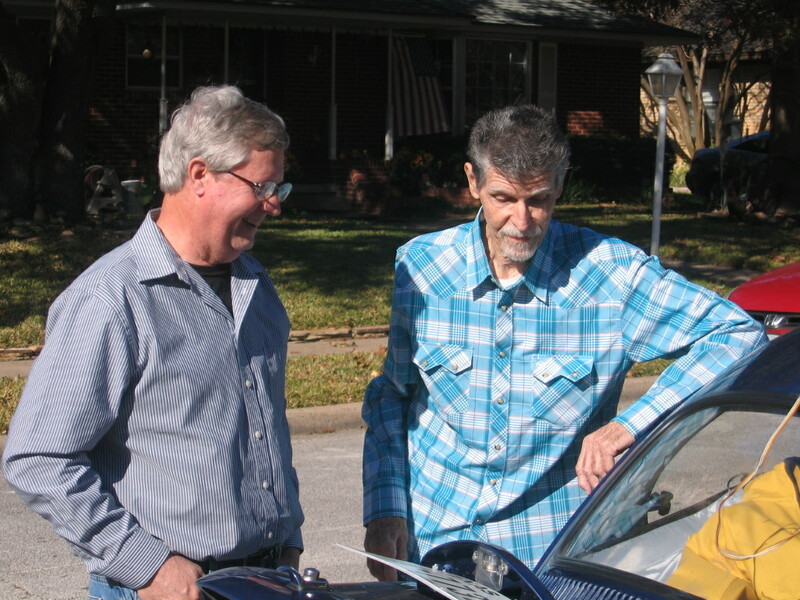 He told us to bring the car to the shop and that he would look at it immediately—which was great and fit right into Jimmy’s travel schedule. During lunch, we learned more about Jimmy exciting career. There is nothing like being paid to travel around the World to interesting places. And–oh, yes—Thank you, Jimmy, for the great lunch! Back at the Salser Place, Jimmy unhitched his Beetle and we went driving—with me at the helm. He had told me that there was an “interesting” aberrance with the shift pattern. I acquainted myself with the pattern and determined that it probably was the shifter plate’s position. Jimmy had completely refurbished the linkage, so all of that was good. He also was experiencing a problem with the brakes, which still were all drum. As I drove, I could tell that the brakes were not quick enough. They needed some adjustment—to be determined. Also, there was some adjustment needed at the carburetor. more opportunity to test various components as I drove. The car was left over-night at the shop. Although Jimmy and I were unable to connect personally the next day, we talked by phone. While the mechanic completed some adjustments, Jimmy found a tire to fit his spare rim. He felt better about the long trip ahead—now having a spare, just in case. 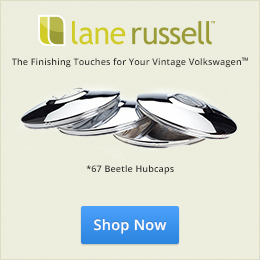 The VW specialist adjusted the shifter plate to achieve the correct shift pattern. He also installed German brake light switches. The ones which came in the master cylinder were not good quality and would not make proper contact. Now, Jimmy had brake lights at the touch of the pedal. As well, the mechanic adjusted the brake shoes, noting that it will take a bit of driving for the new shoes to seat well to the contour of the drums. 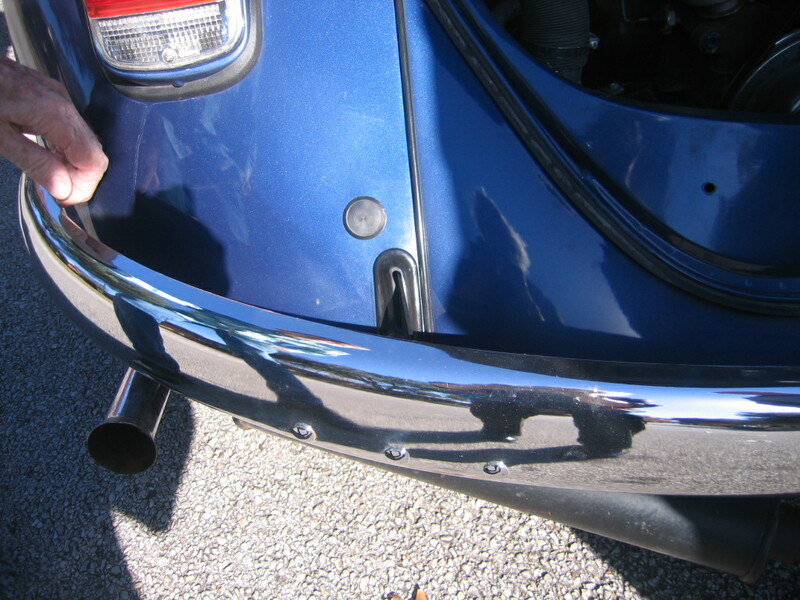 Re-jetting of the carburetor, and adjusting, resulted in smoother operation. All-in-all, it had been a good decision to have these minor adjustments made. Jimmy promises to stop to visit again in the future. We look forward to seeing that promise come true! 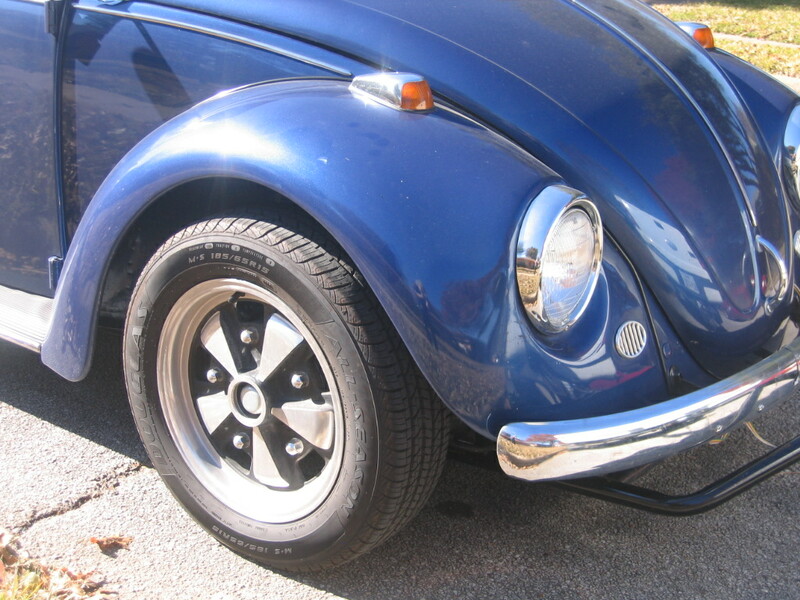 1967beetle.com is the glue that connects us all together. Thanks for the great article, JK! I read in the other article, Jimmy saved the ’67 tail lights. I think that was smart, in case he wanted to put them back on later!